Kauto Star is an odds on favourite in the Gold Cup Betting and second favourite Denman is not far behind yet neither are likely to be winning the Cheltenham Gold Cup in March. 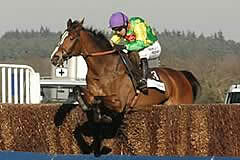 Both Denman and Kauto Star are ten years old. That might not mean much to many but it is worth noting that the last ten year old to win the Cheltenham Gold Cup was Cool Dawn in 1998. Only two ten year olds have won the Gold Cup in twenty years and there have only been six ten year old winners in forty years. One of the many good things about the Cheltenham Gold Cup is that you don’t have to look to hard for the winner, the Gold Cup winner has been in the first three of the betting every year for the last ten years. If Kauto Star and Denman can’t win then that only leaves one horse right? Wrong! We have joint third favourites in Imperial Commander and Cooldine, who are clear of the rest of the runners in the betting. In the last twenty years the most popular winner’s age has been 9 years old and Imperial Commander and considering he ran Kauto Star within a nose of victory in November it is hard not to think the 14/1 available is very generous. 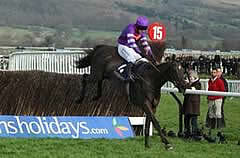 You can back Imperial Commander for the Gold Cup by clicking on the following link Cheltenham 2010. Also through that link you can win tickets to go to this year’s Cheltenham Festival for free. Nothing matches it for atmosphere and experience. There are three different prize draws which you can enter to win tickets and you could even end up a guest in one of the boxes at Cheltenham. Cheering home winners could never be more exciting than that!